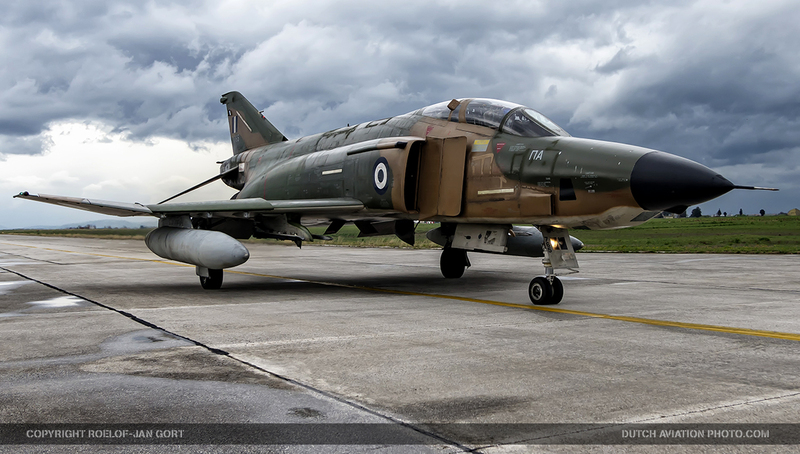 The RF-4E Phantom II is designed from birth to be used for tactical reconnaissance. 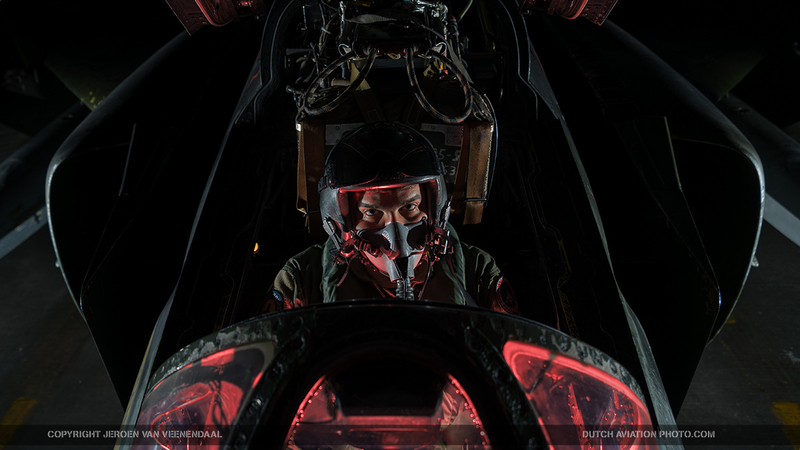 One of the squadrons instructor pilots, Captain Nik Sofologis, “So’ph’os” (meaning “wise man”, and with the ‘ph’ for Phantom) informs us of the parts where it all revolves around, the cameras. 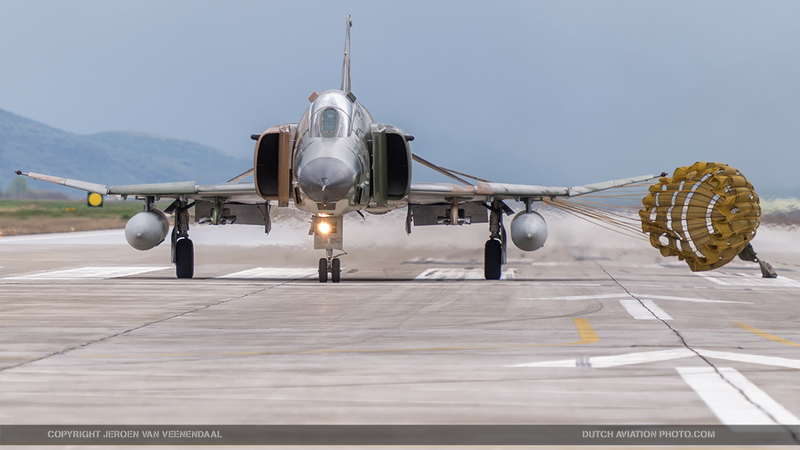 He starts: “The RF-4 is an old aircraft which uses cameras which are analog cameras that record frames on black and white film. When you see the aircraft, you’ll notice three glasses, two are on the sides and one is on the bottom. Those are the three camera stations.” Combinations of photographic equipment can be equipped, depending on the mission. Two of the camera types are built by CAI, the KS-87B classic camera, and the KS-127A Long Range Oblique Photography (LOROP) cameras. For panoramic view, KA-56E cameras are used for low altitude, and KA-91B for high altitude. 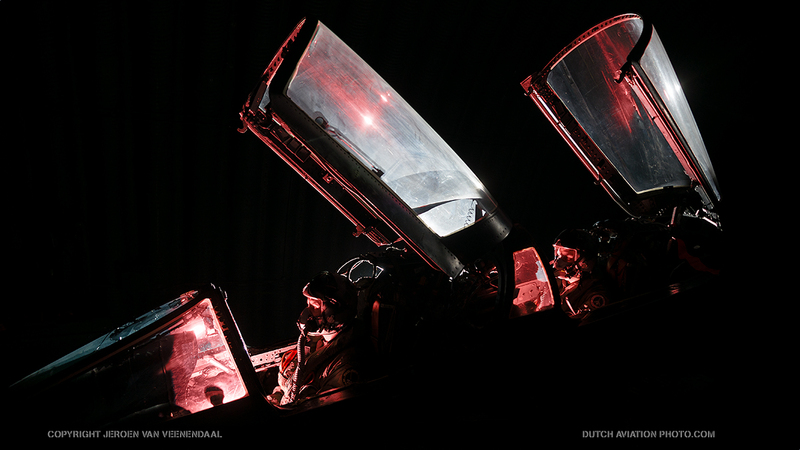 For specific day or night missions the near-infrared AAD-5 cameras can be used. Especially the 66-inch (1676mm) long range LOROP cameras impresses Captain Sofologis. “It’s a big camera, it takes all the stations. It was used to take strategic pictures from a great altitude, I can remember 35,000ft (10,668m). We can get great pictures with a great ground resolution. We are able to zoom in very far, and find in the frame what we need. But still, there’s an advantage that the RF-4 has, that the F-16 doesn’t have. 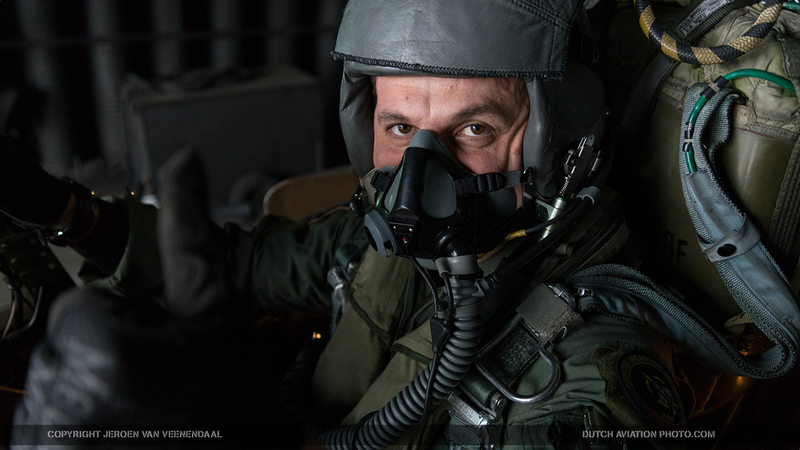 ‘Sophos’ explains: “In the F-16 you must plan the exact route on the ground and you have to follow that specific route. When I get to a specific waypoint on my route, the camera opens automatically and shoots photos from these areas, like a box with overlaps.” This means there is a small target of opportunity on the F-16, but it doesn’t have the flexibility with the cameras that are on board the RF-4. With the F-16 with the DB-110 recce pod there is a possibility to send small pictures via a form of data link to a ground station. For the full download the aircraft must land, as these images are too large to transfer via wireless communication. 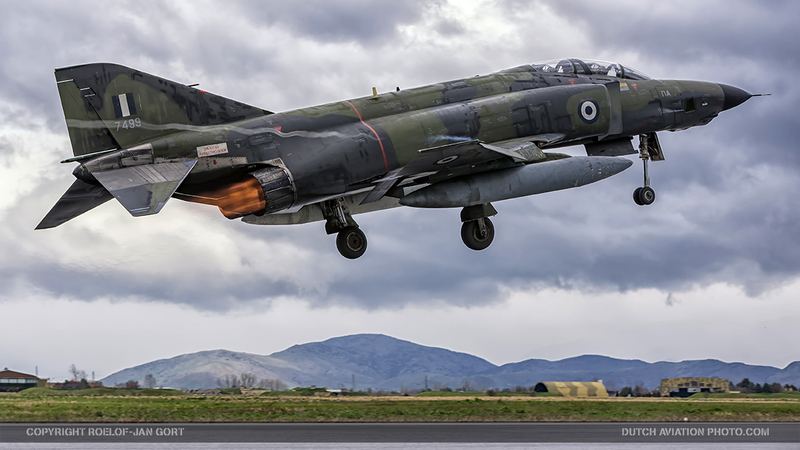 The RF-4 is an aircraft that has been in service for a very long time, but it’s getting harder to operate in a modern environment. The captain states: Generally speaking, its a great aircraft, but the big disadvantage is that it lacks electronics. 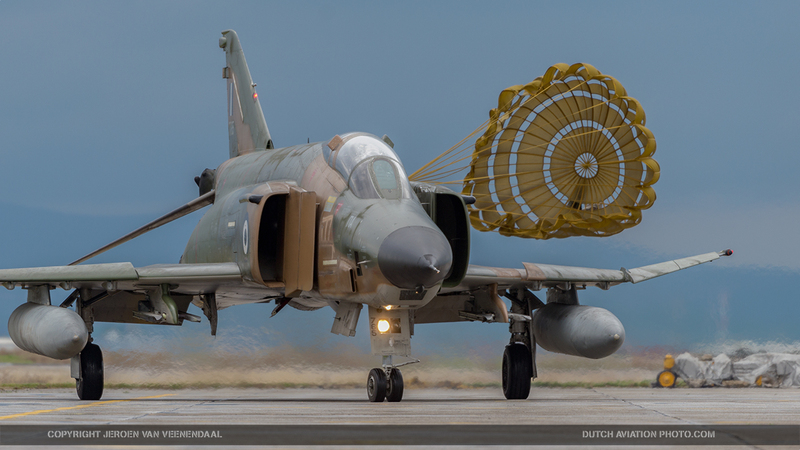 Nowadays, we are trying very hard to follow new tactics with the 2nd generation Phantom, while a big part of the air force uses 4th generation aircraft. If you want to use the RF-4 to the limits, you must try very hard. 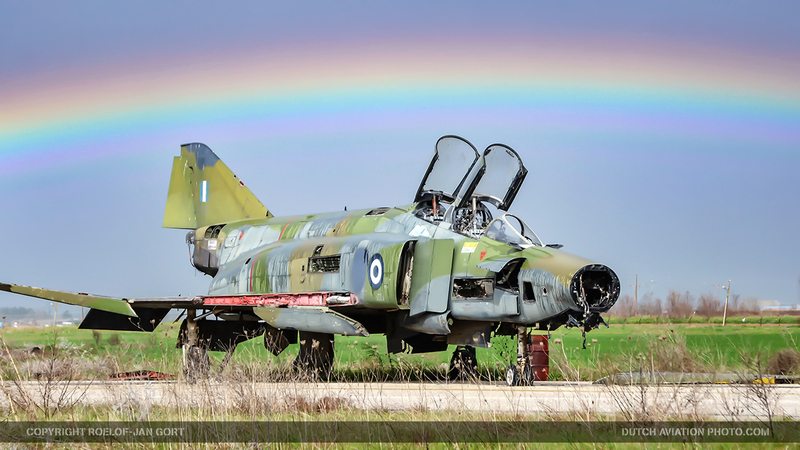 When asking the pilots about the experiences they’ve had in the recce Phantoms, they smile. 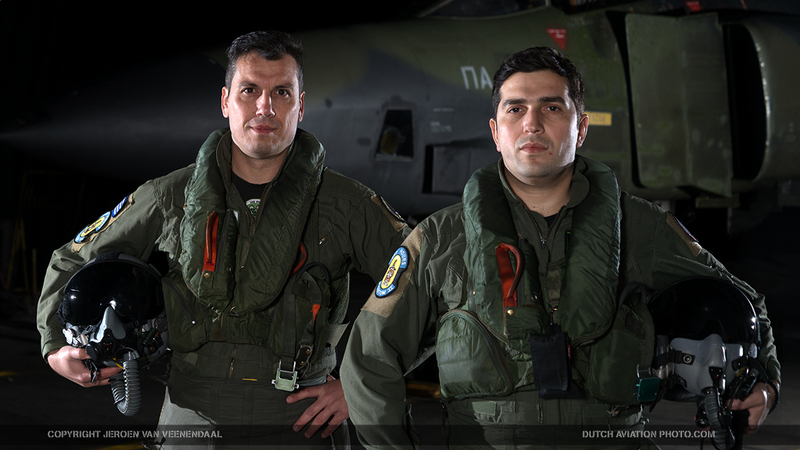 ”We are famous about low level flying. 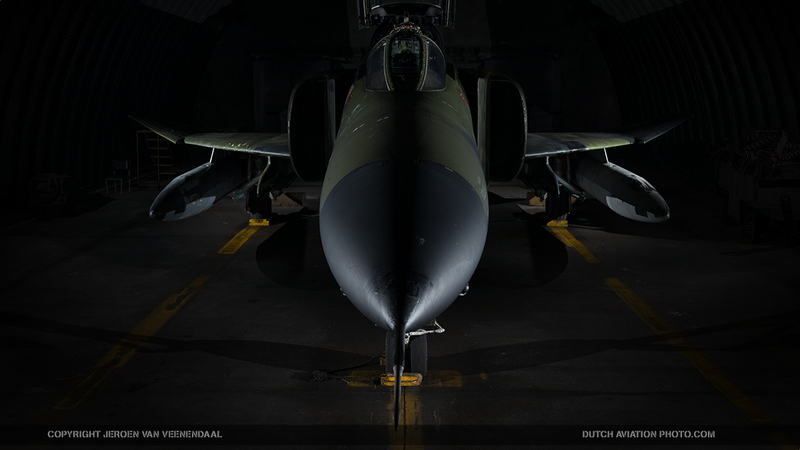 Low level navigation is the only way for the RF-4 to avoid detection from the enemies radar, so the ground is our friend. 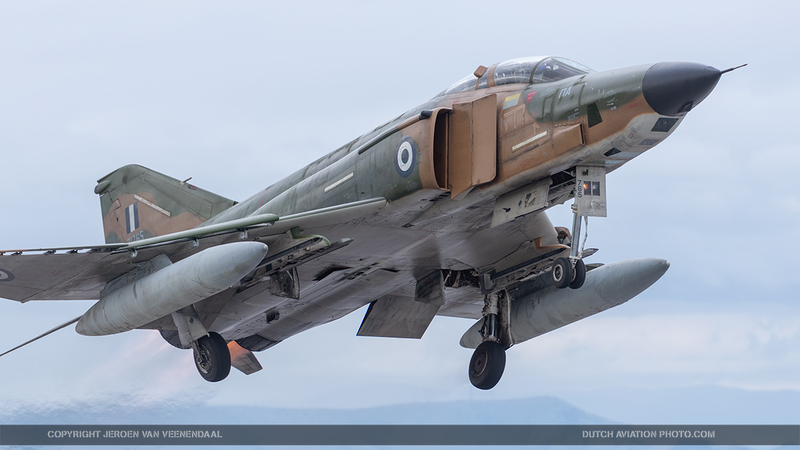 Personally speaking, we have a lot of beautiful experience from low level navigation.” They all love the Phantom very much, and are sad to see them go. 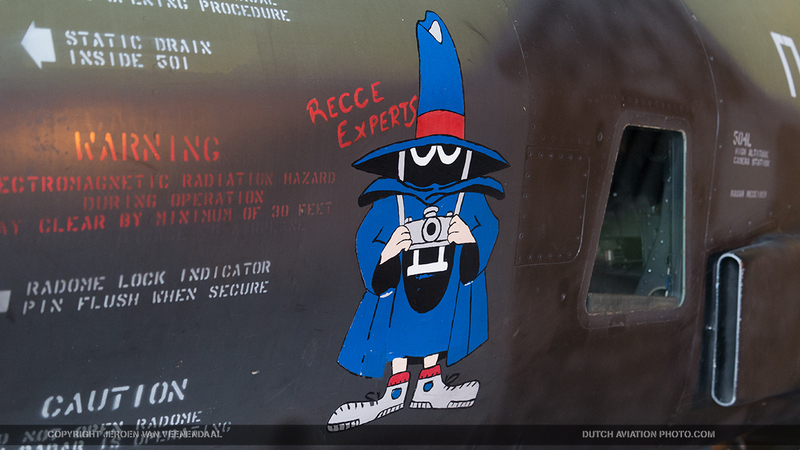 ‘Sophos’ remembers: “When I was younger I was very impressed about what our cameras could do, and how much the air force was based on this aircraft. So much intel about enemy forces could be gathered. I was also impressed, because it’s very great to think that an aircraft that was designed in the 1950s has all these opportunities. It can take pictures traveling up to 600 miles an hour from altitudes up to 30.000 feet. For its time systems that you could not imagine. 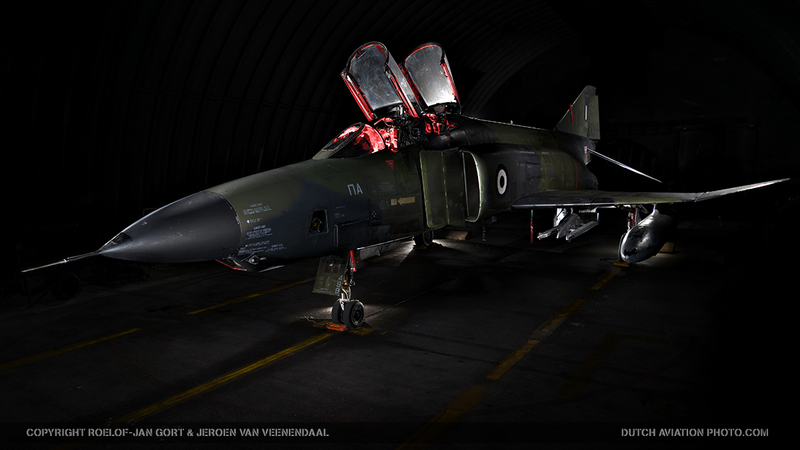 My previous car did not have ABS, but the Phantom has.” The official date for the RF-4E’s withdrawal is past, and the last flight has landed. 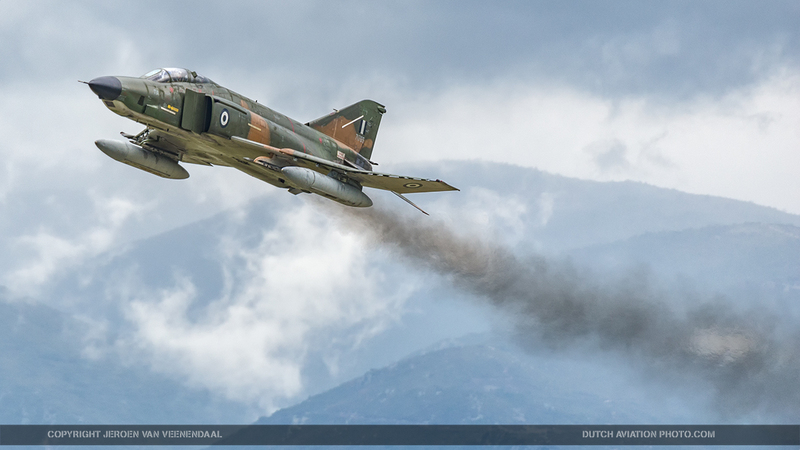 The Rf-4s will be missed by pilots and enthusiasts alike. 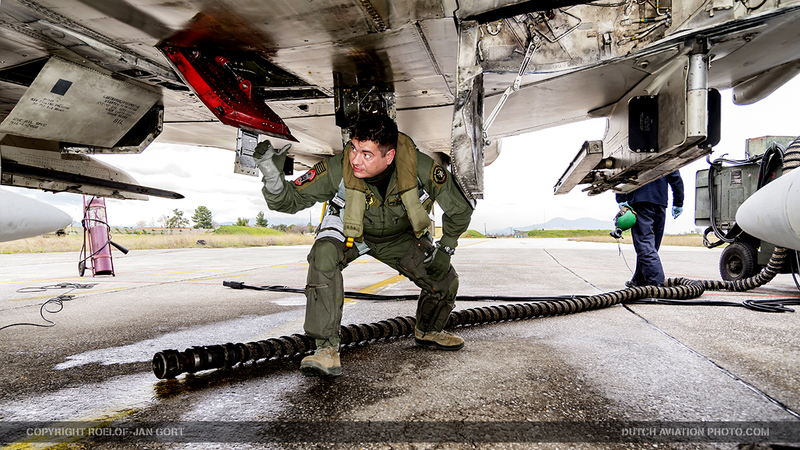 • Lt. Col. Dimitris Papadimitriou, Commander of 348 Tactical Reconnaissance Squadron. 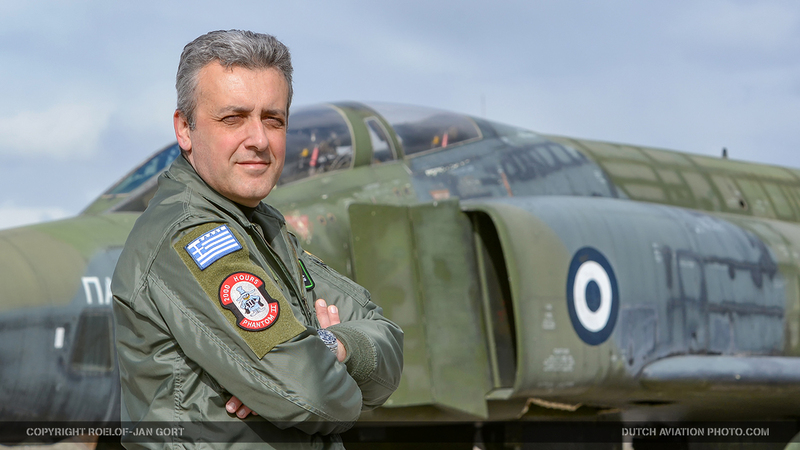 • Captain Nik Sofologis, “So’ph’os” (wise man) in the squadron since 2006, 1300 hours RF-4. 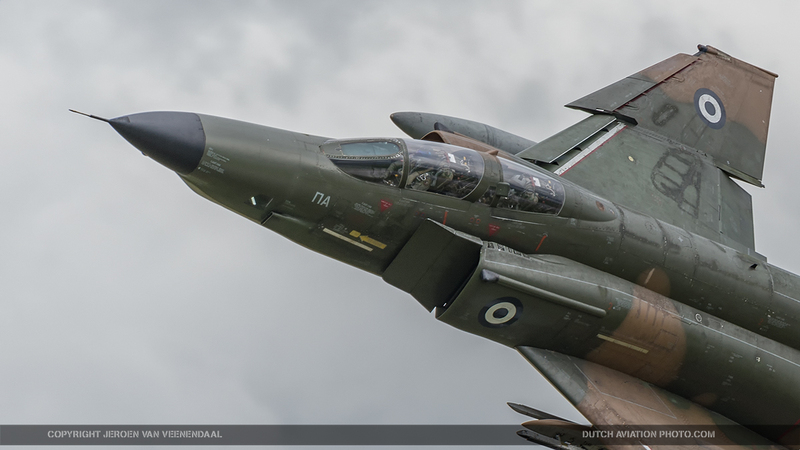 AirForces Monthly 2017-07, 2 images. Air Power 2017-07. Article and 5 images. ALAS 2017-07. Article and 4 images. Flymag 2017-02. Article and 20 images. Global 2017-07. Article and 11 images. Siivet 2017-03. Article and 4 images. Vayu 2017-05. Article and 7 images.